Ball provides expert maintenance and repair service on a wide variety of heating and cooling systems such as gas furnaces, heat pumps, mini-splits, commercial package units and much more. Your comfort is always just a phone call away. Quoting a flat rate over the phone without conducting any research would be like a doctor prescribing medicine without an examination. Our technicians will visit your home or office and assess your needs first hand then make the appropriate recommendations. We extend a 2 year parts and labor warranty on repairs to all of our customers. 24 hour repair service and discounts are available to participants of our Energy Savings Agreement. In the event that your system is not performing properly, following these instructions will help us determine the problem. Check breakers to make sure none are tripped or off by accident. Check the battery in your thermostat. Some thermostats use batteries for power, and the batteries need to be changed. Check your thermostat. Make sure the temperature is set where you want and that the system is in the proper mode, heat/cool or automatic. 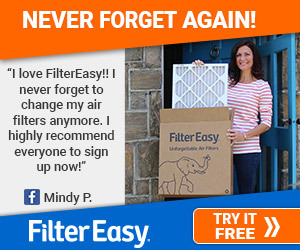 Clean or replace your filter. Stopped up filters impede airflow and can damage your unit. Open all supply grilles if any are closed. Check to see if the outdoor unit is running/cycling on and off. Preferred date and time for home or office inspection, service, repair or installation. Tell us the type of problem you are having and make us aware of any unusual noises your system may be making. Ball Heating and Air is here for your everyday heating and AC needs. Call Ball, That's All! (228) 273-1511. Looking to save? We're always offering great specials to help you keep some extra money in your pocket. We're always looking for ways to help get useful information to our customers. Check here for our latest updates!